The city of Priene on the north side of the Maeander Valley preserves its planned (‘Hippodamian’) form. One of the most prominent features is the temple of Athena Polias. One of the best viewpoints is from the cliff path to the akropolis. How do you manage visitors to such an extensive site? How do you protect unexcavated parts of the site? How do you make sense of such a complex site? The temple of Athena Polias dominates the lower part of the city of Priene. The Ionic temple was reported to have been designed by the architect Pytheos who was associated with the Mausoleum of Halikarnassos. The naos itself measured 100 Attic feet. The south anta of the temple carried an inscription recording the benefaction of the temple: King Alexander | dedicated the naos | to Athena Polias. The inscription was recovered by the members of the Society of the Dilettanti during their sponsored excavation of the city in 1869-70. This was then presented to the British Museum in 1870 (see online details). The adjacent blocks were used to record other benefactions from Alexander and other civic records. The inscription suggests that the benefaction should date to c. 334 BC, following the campaigns of Alexander in western Anatolia. 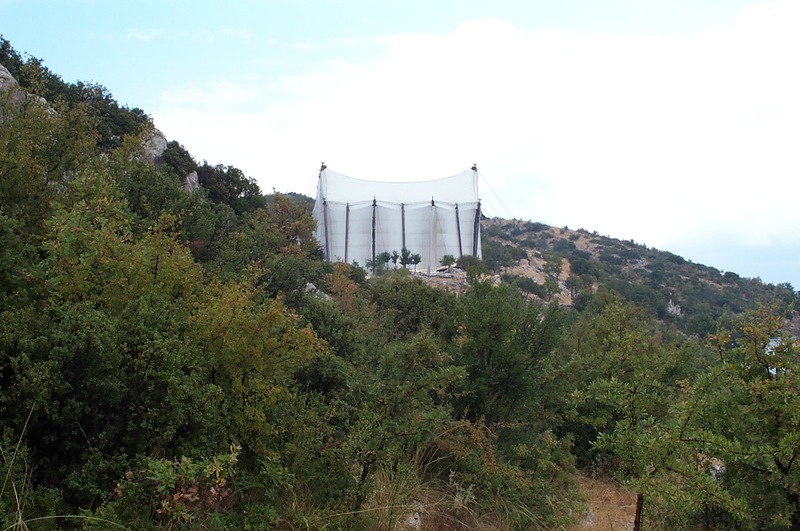 The temple of Despoina at the site of Lykosoura lies high in the mountains of Arkadia. It appears to have been constructed in the late 3rd century BC. There is a Doric facade at the east end. The base for the cult statues lies at the west end. The sculptor was Damophon of Messenia. Excavations recovered some of the sculptures that are now in the National Museum in Athens. A door lies on the south side. This faces a series of steps placed on the steep bank. It is possible that this was an area for those observing the rituals. The temple of Apollo Epikourios lies high in the mountains of Arcadia in the western Peloponnese, Greece. It was constructed as a thanksgiving by the nearby polis of Phigaleia for protection from the plague that affected many communities in Greece in the early 420s BC. 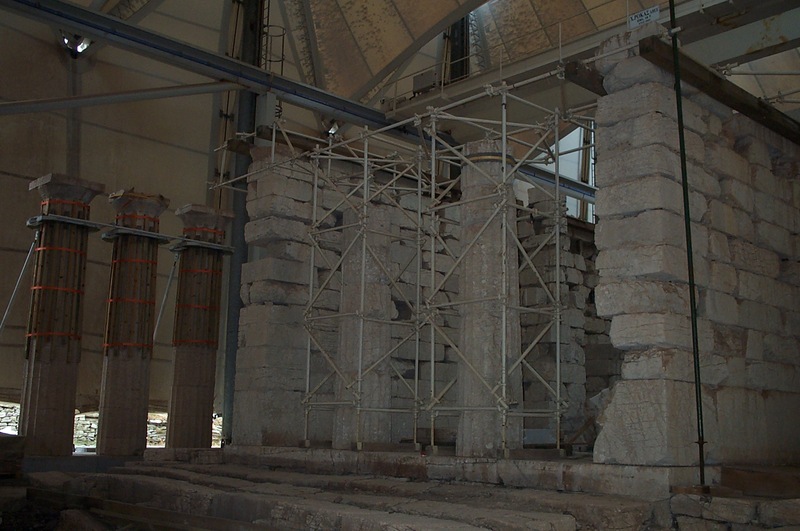 The temple is constructed in the Doric order with 6 by 15 columns. The interior contains engaged Ionic columns. There was also a single Corinthian column inside the cella. 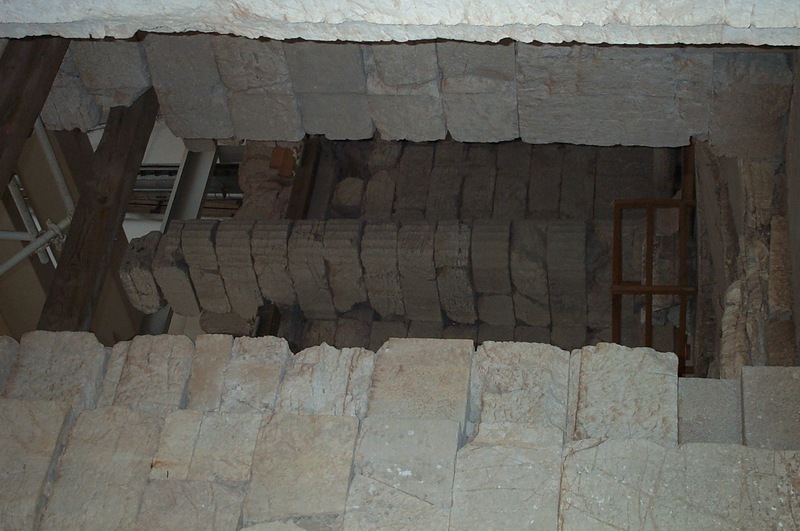 The high altitude means that that there is potential damage to the temple. As a result a specially constructed ‘tent’ has been placed over the architectural remains. 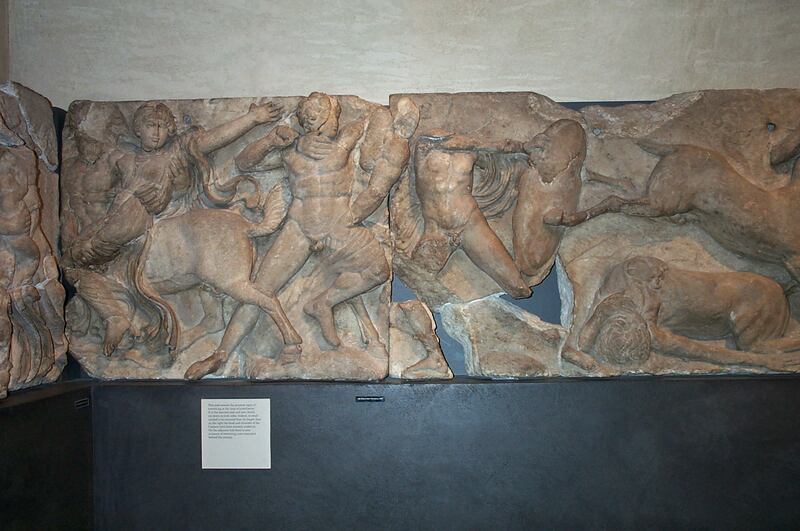 The interior frieze showing battles with Amazons (Amazonomachy) and Centaurs (Centauromachy) is now in the British Museum. The temple was listed as a World Heritage Site by UNESCO in 1986.